There are many outdoor recreational activities along the Byways!  Also be sure to check out the Adrenaline Rush, Biking, Hiking & Walking, Hunting & Fishing, Snow Activities, and Water Activities pages. Places to do something outdoors.